Sigstr announces three significant advances to its product to allow superior flexibility, including: central deployment, multi-brand signature capabilities, and an integration with SalesLoft Cadence. These new product updates are critical to our users, and we are hard at work building further integrations and product updates that will deliver incredible ROI and brand cohesion. 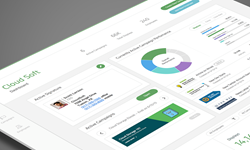 Sigstr, an email signature marketing platform, has made significant advances to its product announcing three important new product capabilities. First, with central deployment capabilities for Google Apps / Gmail and Microsoft Outlook, the install process removes the need for employees to install the application individually. The Sigstr admin now has the ability to push updates via the application portal. Second, multi-brand companies can now utilize different signature templates for various subsets of employees now allowing several signatures to be simultaneously active across the organization. Finally, Sigstr’s SalesLoft integration enhances marketing efforts within the SalesLoft Cadence application by appending a Sigstr Signature and Sigstr Campaign to Cadence email communications. Sigstr has experienced tremendous growth across its product and company over the past year. Sigstr now serves over 150 customers and has a team of 20+ dedicated to the opportunity of email signatures. Sigstr is continuing to aggressively hire top-level talent to support all functions of the business. For more information on open positions, visit: http://www.sigstr.com/company.